140 West Campbell Street , Glasgow, City of Glasgow. G2 4TZ. 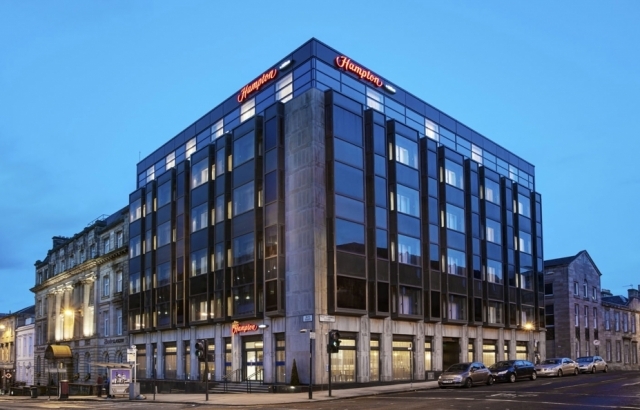 Right in the heart of the city is the Hampton by Hilton Glasgow Central. 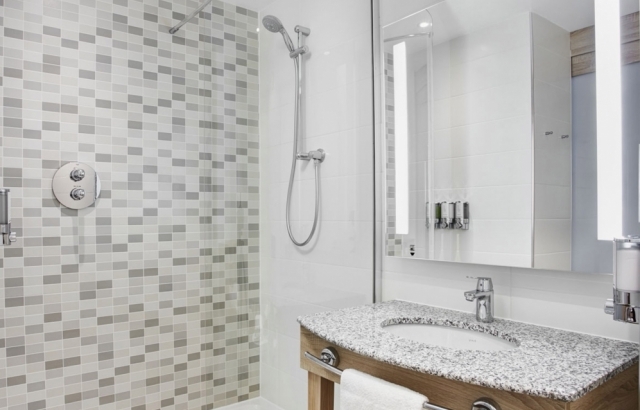 Its within easy walking distance of the fashionable Merchant City and Buchanan Street shopping district. 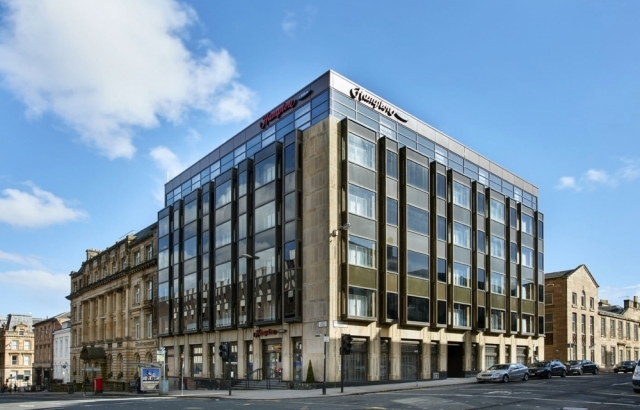 Close by is Glasgow Central and Queen Street Stations for those arriving in by train and its less than 9 miles from Glashow Airport. It’s also an ideal location for those visiting the SECC or Hydro for a conference or concert. Car parking is available, with preferred rates nearby. 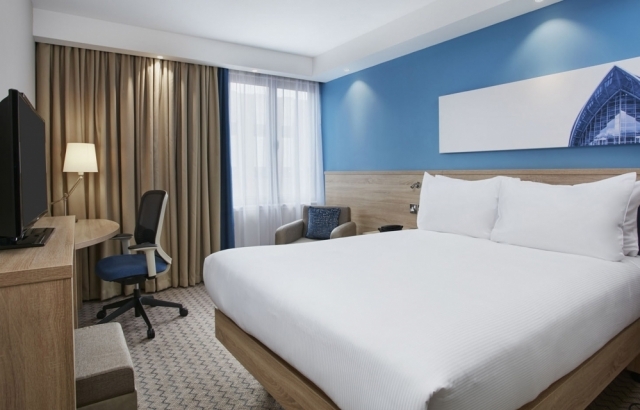 Each of the comfortable and fully equipped air-conditioned rooms feature a comfortable bed, flat-screen TV, a laptop safe, a phone, an en suite bathroom and a hairdryer. 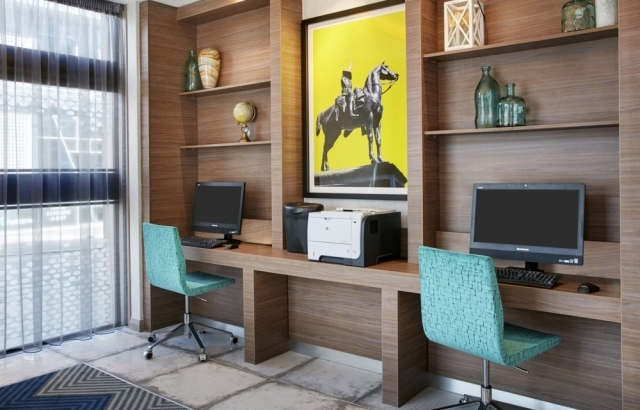 Ironing facilities and an electric kettle are also included along with free fast wi-fi. 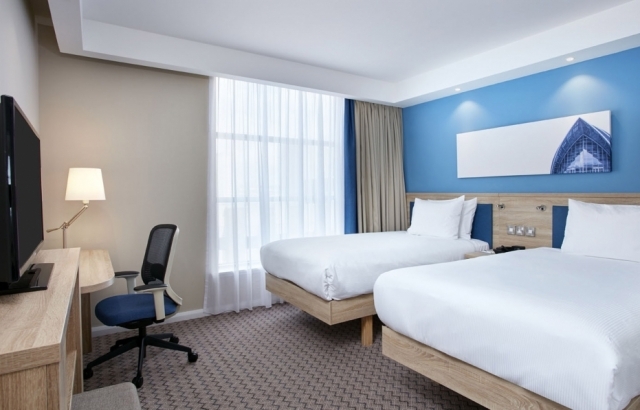 Included with the room rate is complimentary breakfast and there is good range of continental and cooked breakfast items plus a make your own waffle machine with choice of sauces. 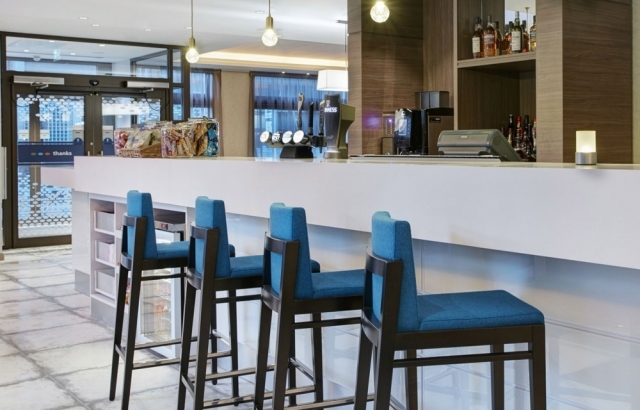 The lobby bar also offers a range of drink options including cocktails and for residents coming back for a late-night tipple it’s the full bar range that’s available. 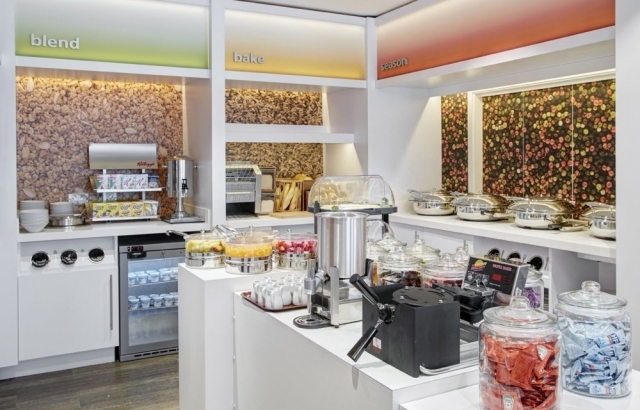 The hotel does not have a full restaurant however there are popular light meals and snacks. Including 24-hour options. Nearby the Hotel is an excellent array of Bars and Restaurants and the staff here are happy to make recommendations and assist. 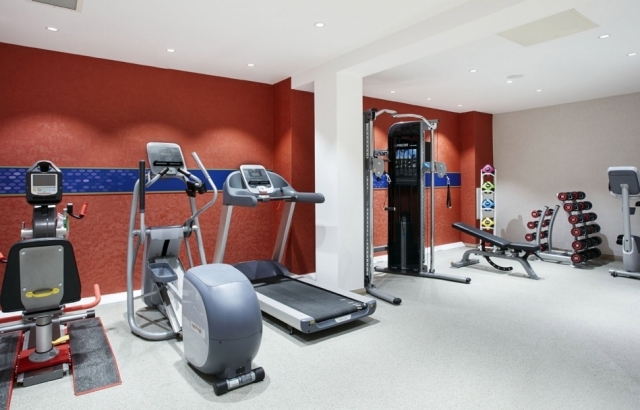 If your keen to keep your fitness regime in place there is a 24-hour Fitness room with a range of equipment to keep you on track. 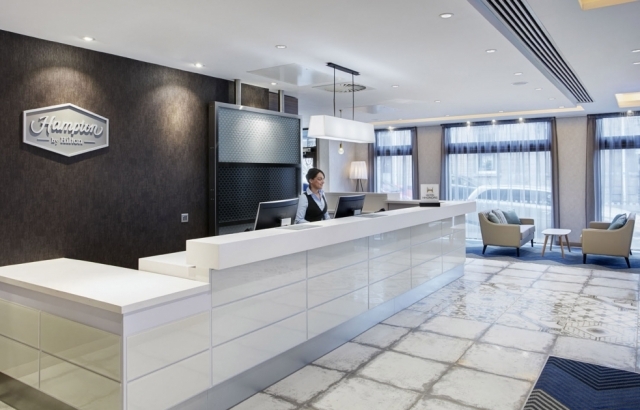 The Team her go out of their way to ensure every guest has a great stay so make sure you talk to them about you plans when you’re staying at the Hampton.